Absence CD has a total of 12 tracks and a number of them are in the six or seven minutes, although there are a couple of short and one long. Stylistically, the CD leans very heavily in the vein of prog metal , music is bold , dynamic and spectacular, but each of the compositions, have more to offer than the heavy crunching guitar . What band we have here! This is their debut full-length, Fughu hereby give us their own musical kingdom. Yes, the influence of the seventies prog is never far away, but the band has not rested and have realized that we are living in a different time, which makes her very fresh and different sound. Yes, also from Argentina, in one way or another comes a progressive band that can be heard. 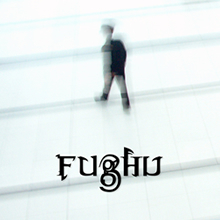 This shows Fughu with their debut album. His music is mainly characterized by heavy guitar riffs, but also emotional moments that take effect.